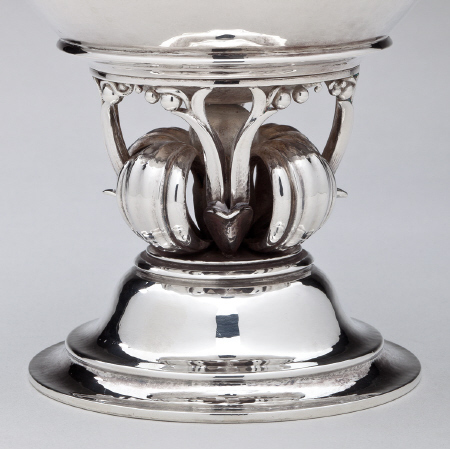 Exceptionally rare Georg Jensen Art Deco Bowl No. 445. Designed by Harald Nielsen in 1926 and made in the same period. 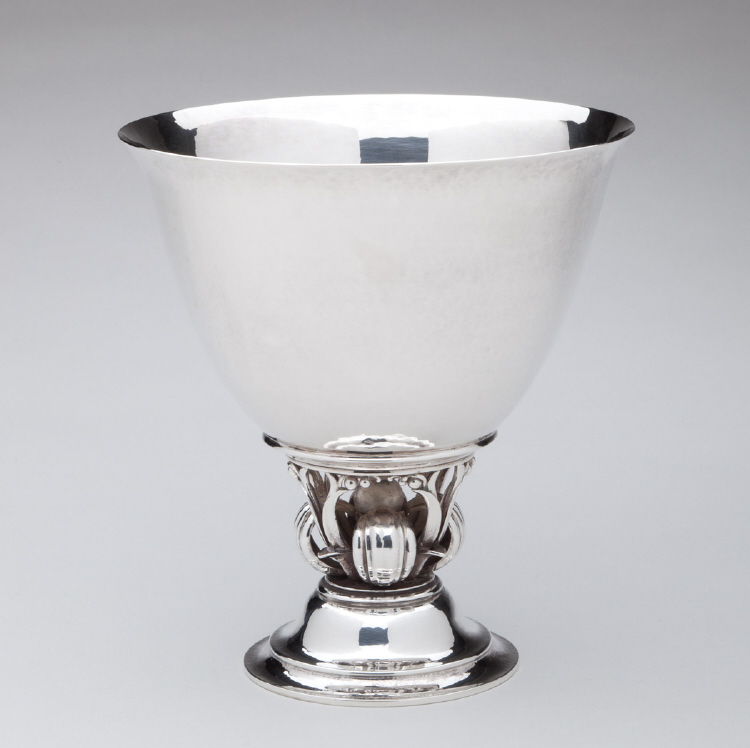 The bowl measures 7.16 inches high and the bowl meausures 6.7 inches in diameter. 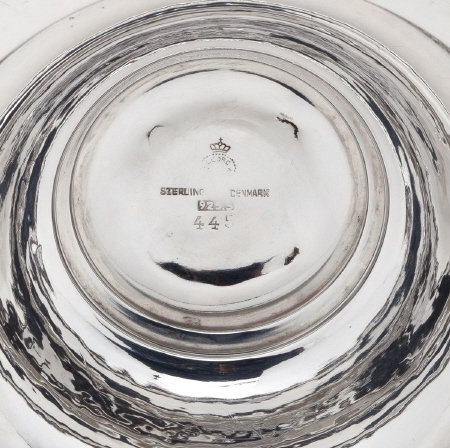 The bowl bears impressed marks for Georg Jensen, Denmark, Sterlinbg, 445. The bowl is in excellent condition.